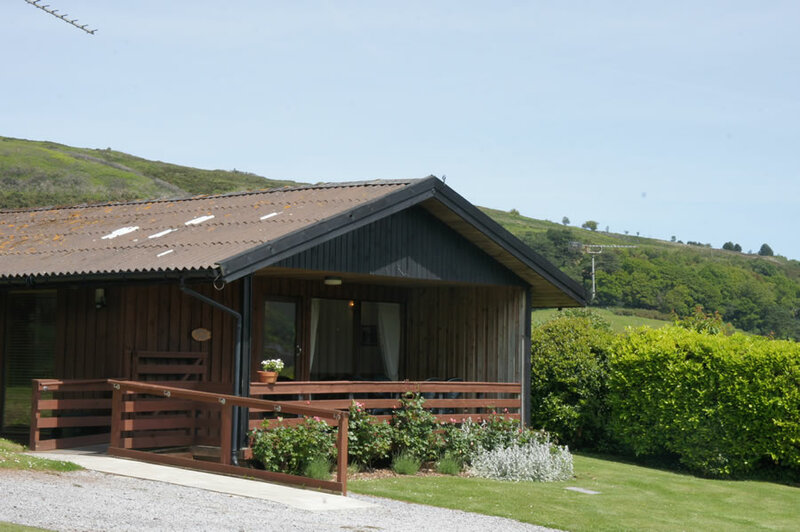 Set in the corner of the main grassed area overlooking the slopes of Exmoor. 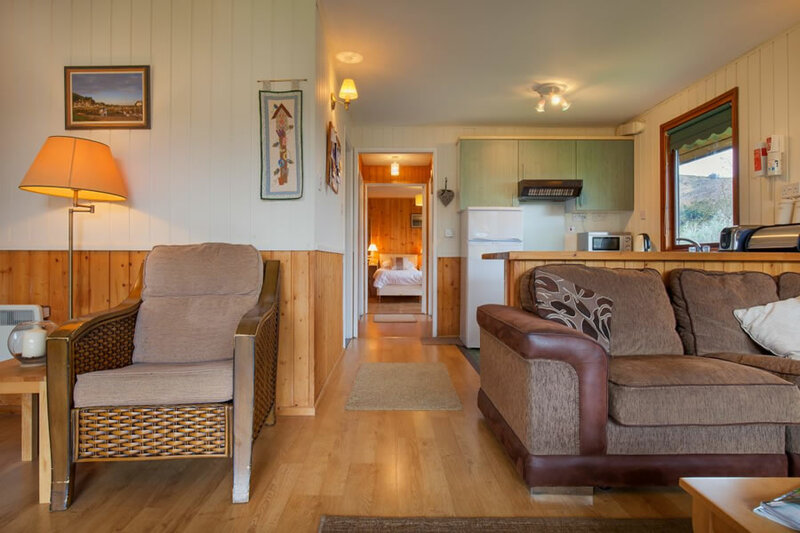 Laburnum is a substantial single storey timber built Lodge with full insulation and convector heating throughout making it very warm and cosy whatever the weather. 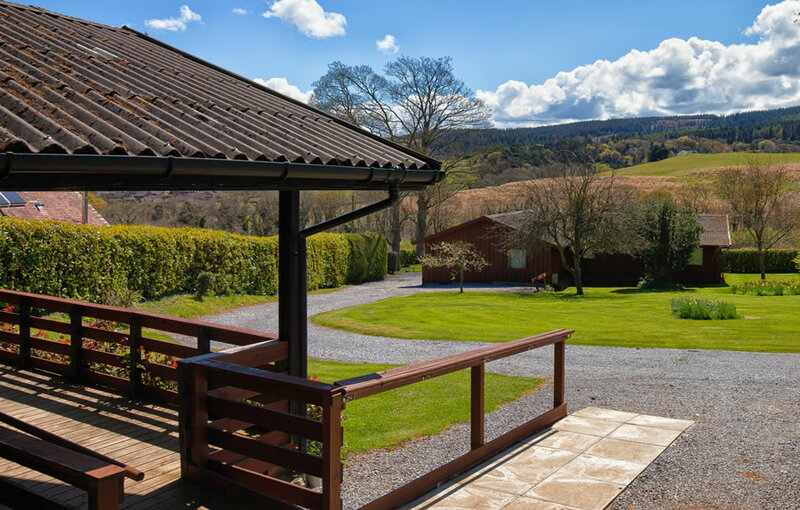 The verandas are very sheltered often giving guests the opportunity to settle in for breakfast while enjoying the fabulous views over the valley. 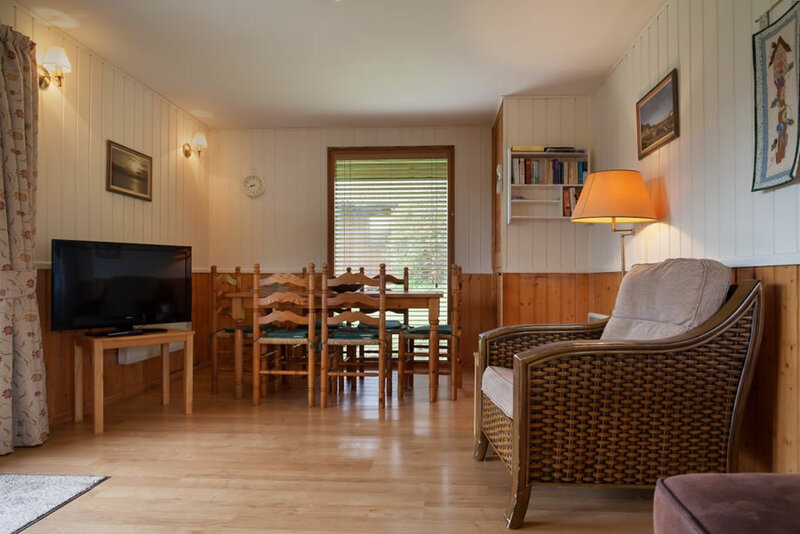 The large L shaped living room has wide patio windows with a veranda to the front overlooking a wide grassed area and the slopes of Exmoor and separate dining, sitting and kitchen areas. 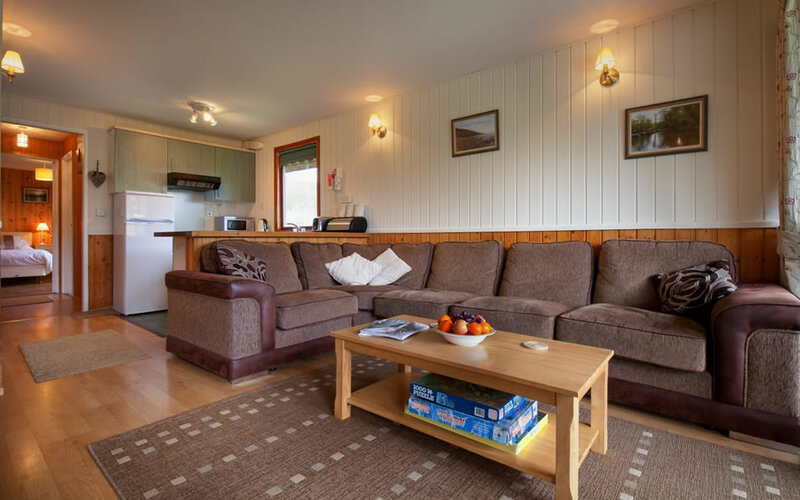 The sitting area has a five seater L shaped settee and a single armchair with a flat screen television and DVD player. 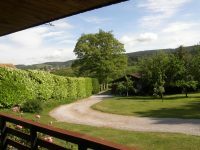 The views out to the veranda and on across the valley are fabulous. The dining area is equipped with a table and chairs for up to six people. 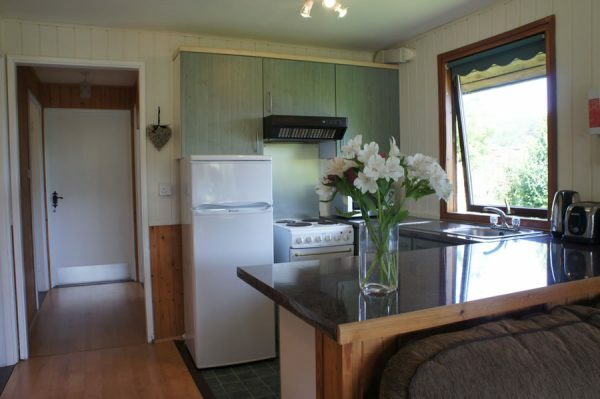 The kitchen is fully equipped with microwave, full size cooker,fridge freezer, toaster and kettle. 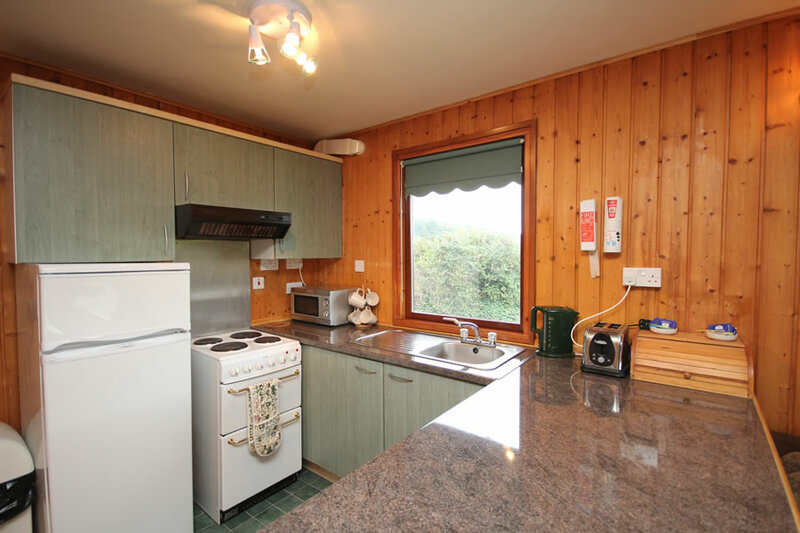 There is a full range of utensils, saucepans and ovenware supplied. 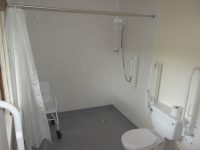 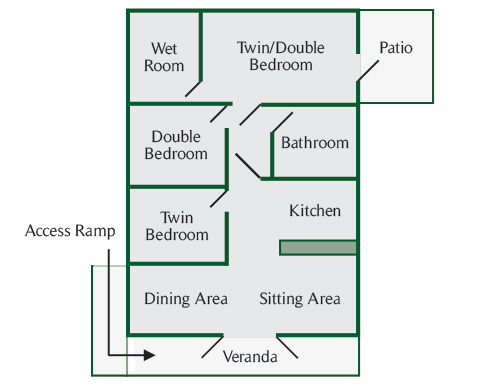 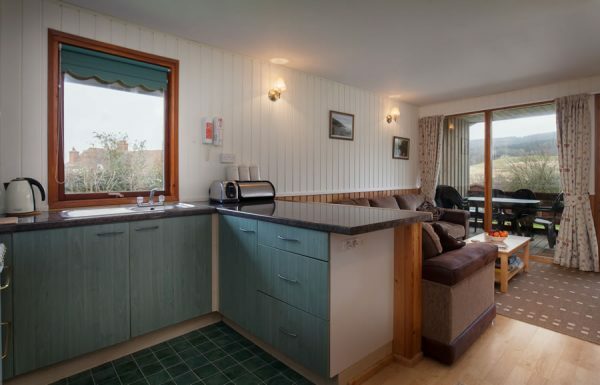 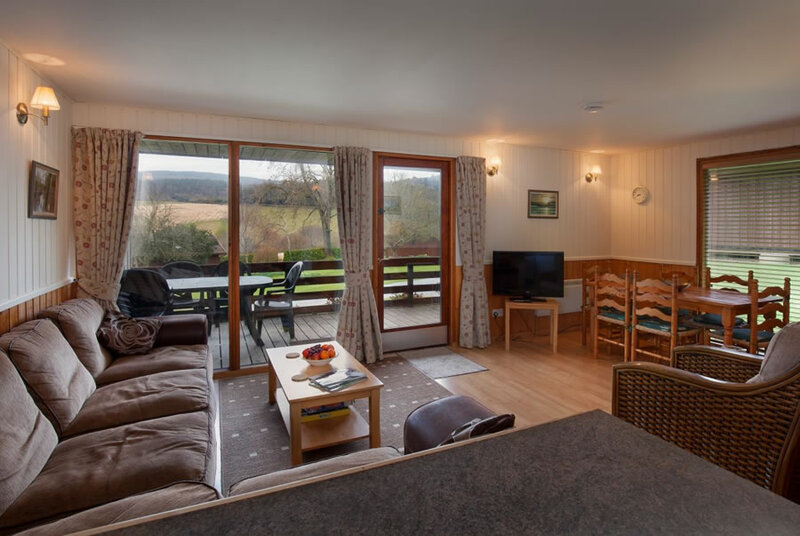 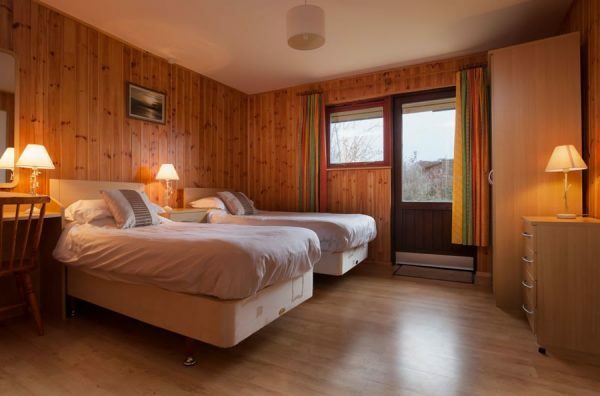 The Lodge is fully wheel chair friendly, M2 throughout apart from the smaller twin bedroom and main bathroom. 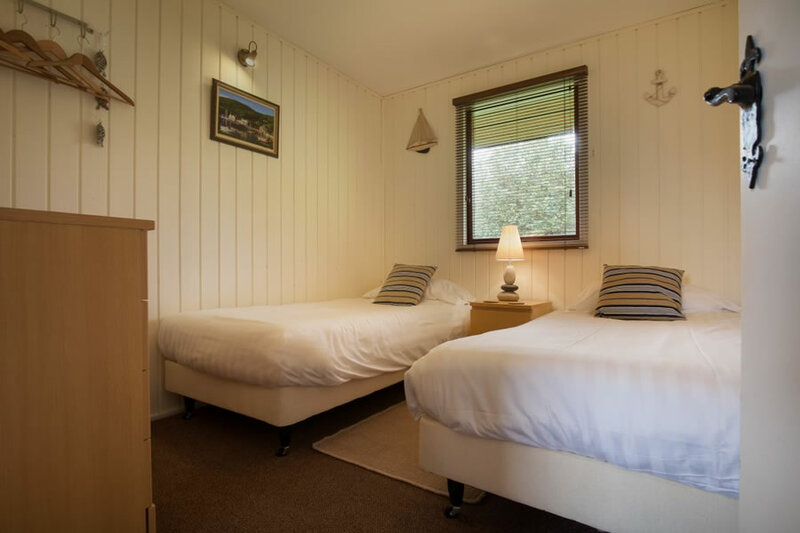 There is a further full size double bedroom with disabled access to one sideof the bed with a clothes hanging area, a chest of drawers and wall mounted convector heating. 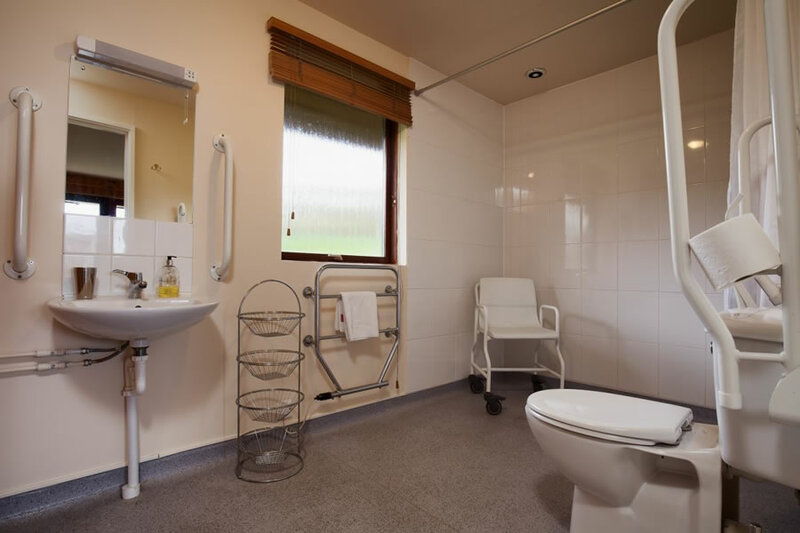 The twin bedroom which is not wheelchair accessible has two full size single beds with a clothes hanging area, chest of drawers and wall mounted convector heating. 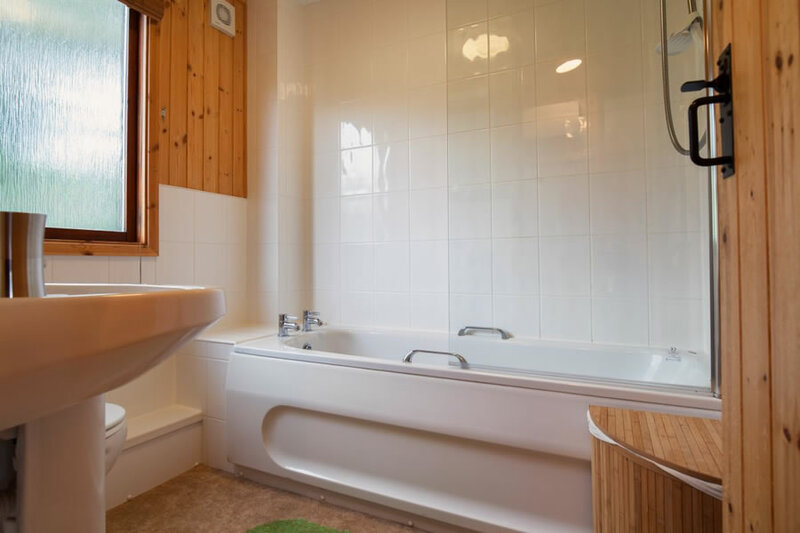 The bathroom has a bath with shower over, wash hand basin, WC and heated towel rail. 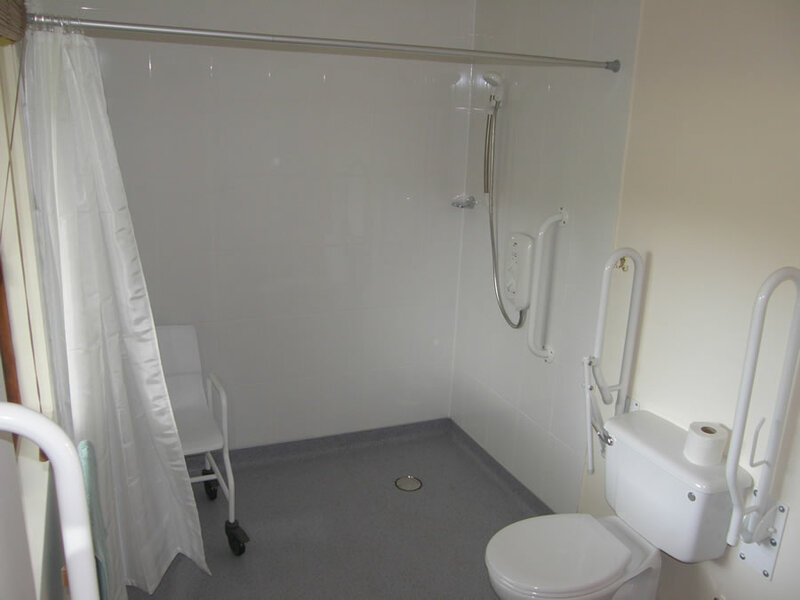 Not wheelchair accessible.